The Full card for Warrington Fight night has been updated and shared with me courtesy of Dan Green with Fight Sport Industries. The card as known is as follows and Dan has also shared an important update with the April card featuring Saenchai Sinbi Muay Thai against Thai Fight’s UK representative Liam Harrison. Since their first match against each other this has been a much anticipated 2nd fight between the two. Saenchai though may be sidelined for a while since he is apparently recovering a leg injury which was suffered from his last fight with Nong-O. Doors open at 4pm. First Fight starts at 5pm. 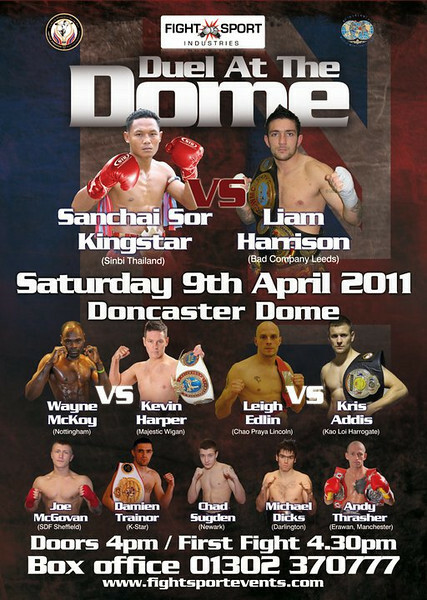 Harrison vs Sanchai – 9th April – tickets on sale now.